The National Corvette Restorers Society is dedicated to the restoration, preservation, history and enjoyment of Corvettes made during the model years 1953 through 1996. To become a member of the Illinois Chapter you must first become a member of the National NCRS Organization. 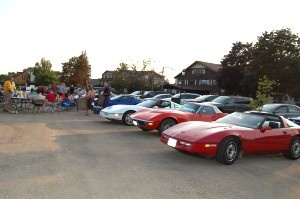 Ownership of a Corvette is not required to maintain a membership in either the Illinois Chapter or National Organization. Chapter Dues are $20 Per Year, $38 for 2 years or $54 for 3 years.